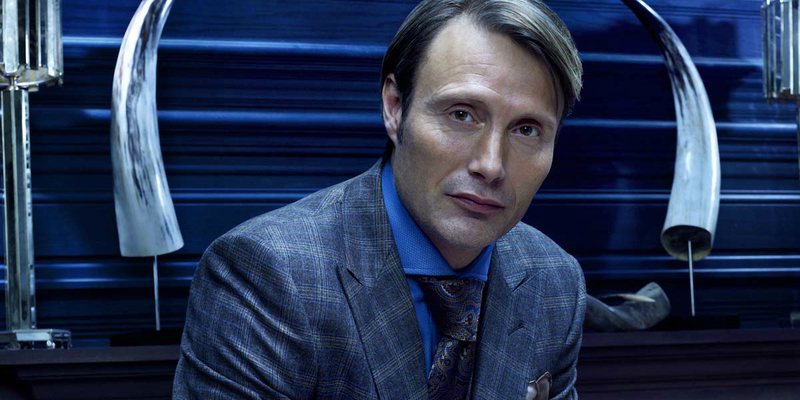 Star Wars: Does Mikkelsen's Rogue One Character Have Vader Ties? Godzilla (2014) director Gareth Edwards' Rogue One: A Star Wars Story is the first of multiple planned "Anthology" or "Standalone" Star Wars movies that Walt Disney Pictures and Lucasfilm intends to release, in between the central installments or "Episodes" of the new Star Wars film trilogy (starting with director J.J. Abrams' Star Wars: The Force Awakens in December 2015). The Rogue One cast is quite impressive, with people like the Oscar-nominee Felicity Jones, Oscar-winner Forest Whitaker, and Hannibal fan-favorite Mads Mikkelsen amongst its ranks. Mikkelsen has thus far kept quiet about who, exactly, he's playing in Edwards' Star Wars movie, though it appears he has now let slip what that character's name is. However, this revelation has now in turn prompted speculation: is Mikkelsen playing someone who is working against the Galactic Empire - as the actor has indicated is the case - or is he someone with ties to Darth Vader and the Imperial Forces, after all? "[My 'Rogue One' role] is a very important role, as much I can say. [My] character is actually not a bad guy, and then I can not say more." More recently, Mikkelsen signed a poster for a RebelForceRadio user where he wrote the name "Galen" under his own signature, much like Zachariah Jensen wrote "Kit Fisto" - the Jedi character he played in Star Wars: Episode II - Attack of the Clones - under his own signature on the poster. The implication is that Galen is, in turn, the name of Mikkelsen's character in the Star Wars universe (and in Rogue One, to be exact). As noted by StarWars7News, the most famous Galen from the now-defunct (read: no longer part of the official canon) Stars Wars Expanded Universe mythology is Galen Marek (codenamed "Starkiller"), an extremely powerful Force-using Sith apprentice of Darth Vader; he serves as the protagonist in the 2008 video game titled The Force Unleashed. Such a character may not seem to fit with Mikkelsen's claims that he's "not a bad guy" in Rogue One (at passing glance, that is), but it's worth noting that in Force Unleashed there is a specific ending to the game where Marek ends up helping the leaders of the Rebel Alliance in their battle against Emperor Palpatine's Empire. Upcoming Star Wars movies, TV shows, and books are free to draw inspiration from the old EU - hence the inclusion of EU superweapon technology in The Force Awakens - so it's certainly possible that some elements of the Galen Marek character (like, his first name) have been included in the "Galen" whom Mikkelsen is playing. Edwards has said before that Rogue One, which tells the tale of the Rebel mission to steal the original Death Star's plans, will be more of a grounded war story in the Star Wars universe - with few (if any) Force-users. Hence, whichever side "Galen" is on for most of the movie, he probably won't be skilled in the art of the Dark Side like Galen Marek is. A story thread where Mikkelsen's character works for the Galactic Empire (maybe even Darth Vader personally), only to turn about and help the Rebel Alliance could provide "Galen" with a compelling arc in the larger Rogue One narrative, as scripted by Chris Weitz (Cinderella (2015)). It's not at all given that Mikkelsen is playing a character who bears any similarities to Galen Marek (not yet, anyway), and there are other issues - such as the age difference between Mikkelsen and Galen Marek - that do seem to point away from the former's character being influenced by the latter. Nonetheless, as far as speculation concerning the unknown elements of Rogue One goes, it's not a bad theory, all things considered - agreed?